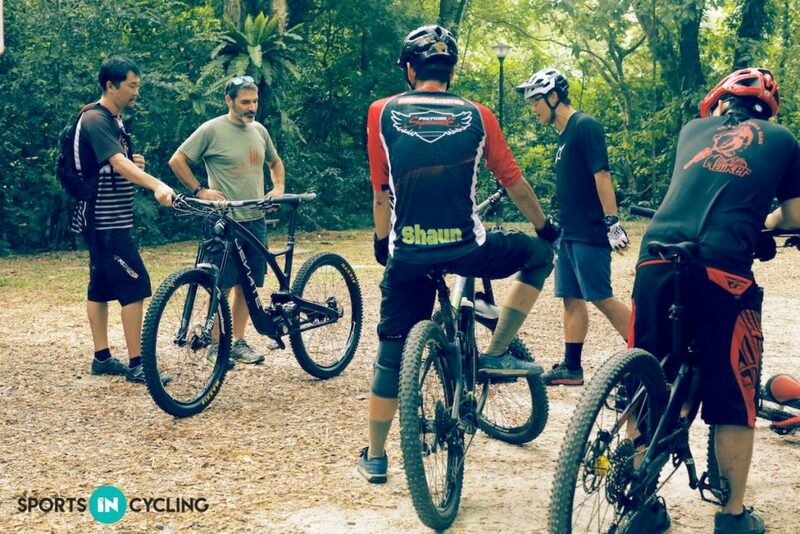 While we were doing the photoshoot for the Deviate Guide at Chestnut Park, it attracted the attention of a few mountain bikers. This is a “Fit and Forget box” that comes with a 5 year-warranty. And you only need to change your oil once every year. It makes complete sense to use this bike. What’s so special about a gearbox? 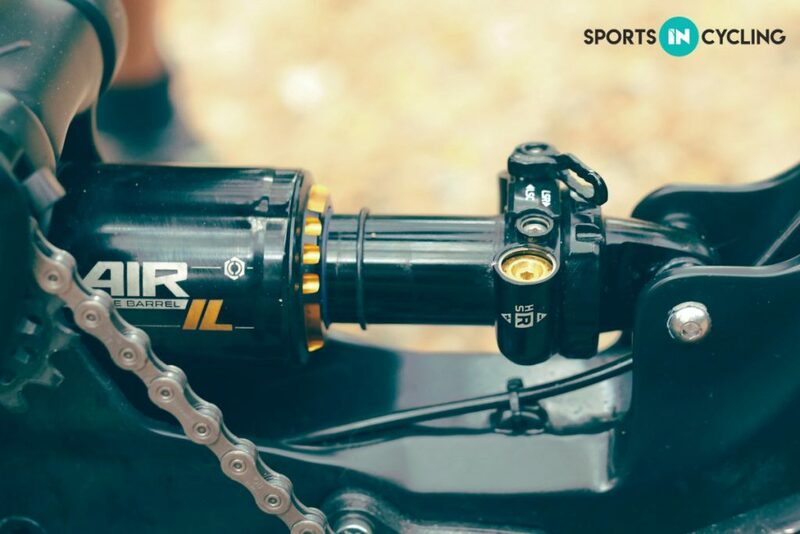 A gearbox system is much easier to maintain and service, as there is no rear mech hanging at the back of your bike waiting to be ripped off in the trails. You can also change gear without putting a pedal stroke in. Even if you find yourself in a wrong gear at the bottom of the hill, a quick flick of the wrist, you’re suddenly in the right gears and you can pedal off. Furthermore, having the gearbox in the middle of the bike also means that the weight of the bike is now shifted to the centre. The unsprung weight is reduced, resulting in a better traction to the ground and a faster response to the rear wheel. A gearbox system has no suspension “lock-down”. which means that your suspension is fully active even when you are pressing on the brakes. The frame builder is a Trail biker himself. The Deviate Guide is specifically designed for Trail and Enduro courses. So don’t expect this bike to be as fast as a Cross-Country bike. 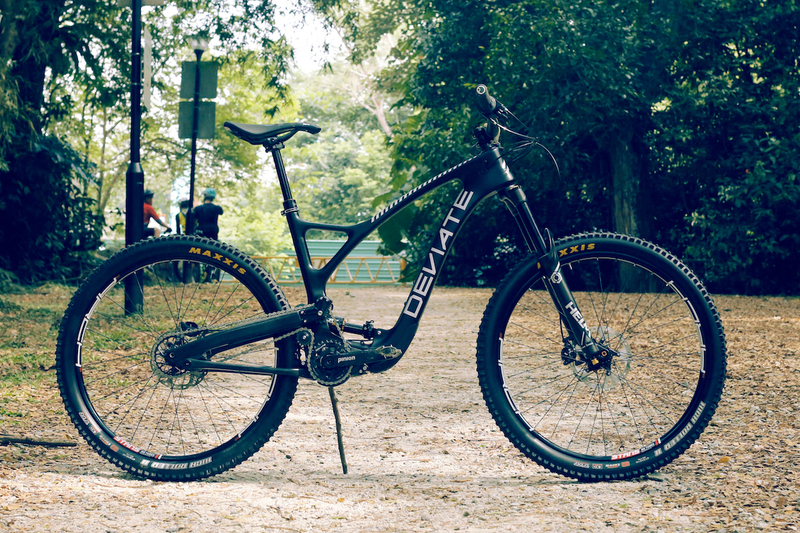 160mm of rear wheel travel gives this bike a fine balance between a Cross-Country (typically 120-140mm of travel) and an Downhill bike (180-200mm travel). 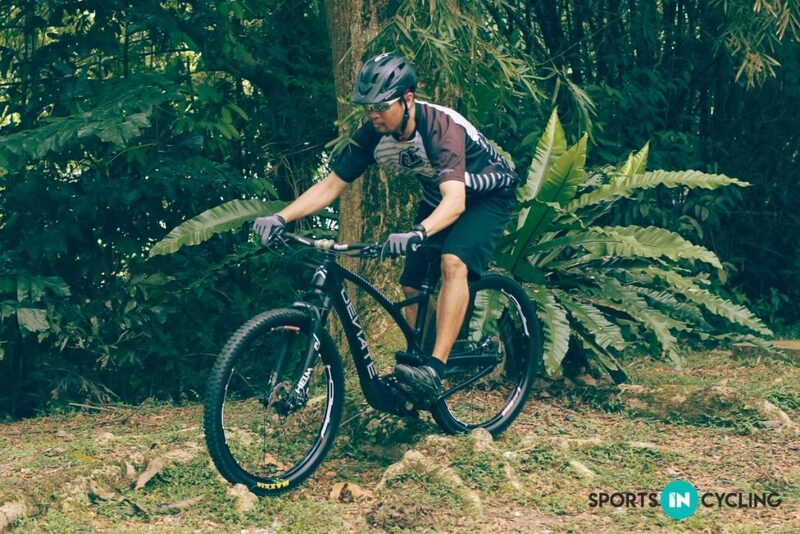 Even though you cannot climb as fast as a lighter bike, you can still climb comfortably and easily because of the wide range of gears you can select from. 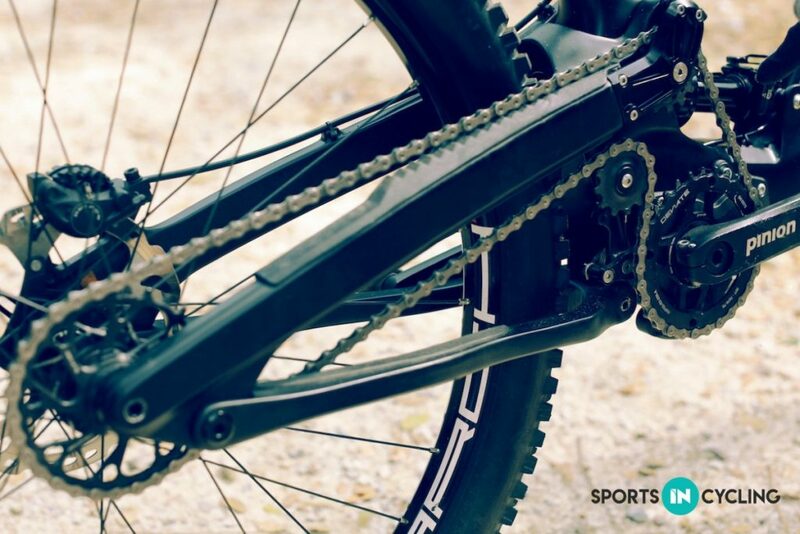 In comparison to the SRAM-Eagle which only has a gearing range of 500% (gear ratio 10-50), a gearbox system can accommodate a gearing range of 600% (gear ratio 10-58). 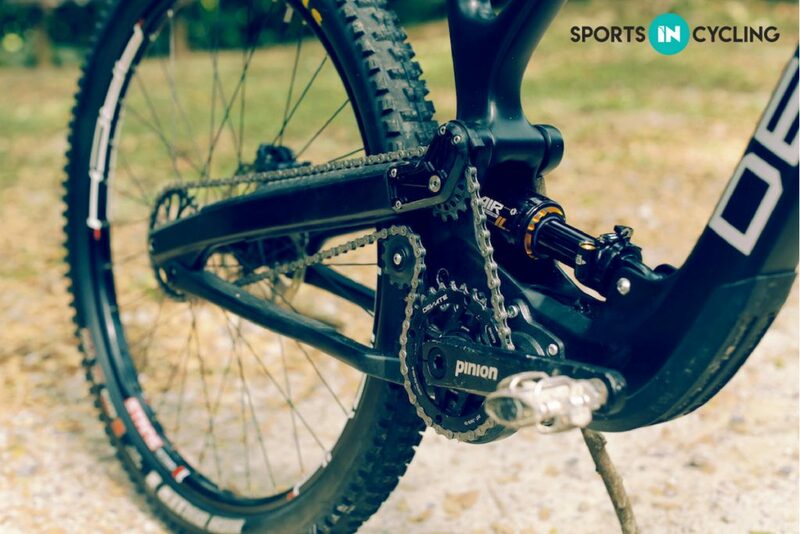 Being able to switch to a lower gear also means that this system can accommodate both newbies to advanced mountain bikers. For more information about The Deviate Guide, please visit BYX. Opening times: Weekdays 11am – 7.15pm, Sat 10am-7.15pm, Closed on Sundays.